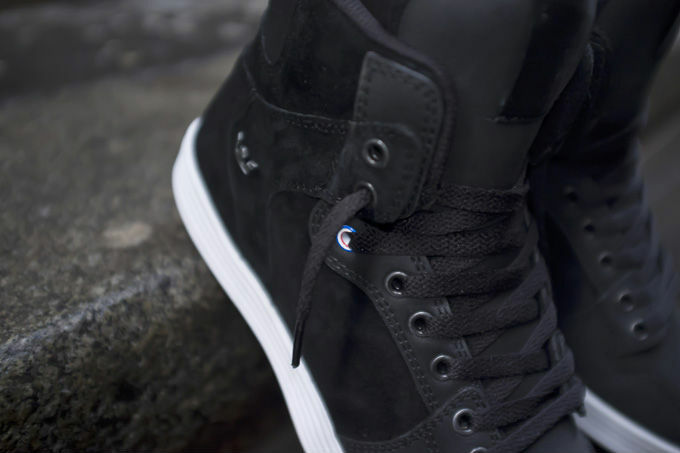 Supra Paris designs a Vaider Lite in celebration of Black Friday. Black Friday isn't celebrated in Paris, but if it were, it'd be called "Vendredi Noir." 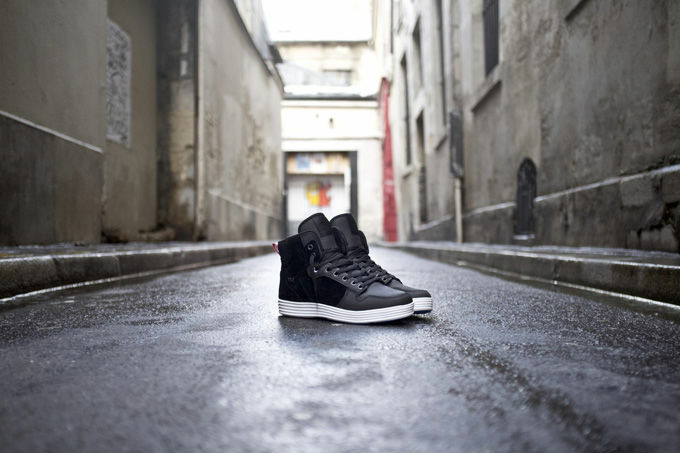 That idea is the inspiration behind the new "Vendredi Noir" Vaider Lite, designed by the team at Supra Paris. 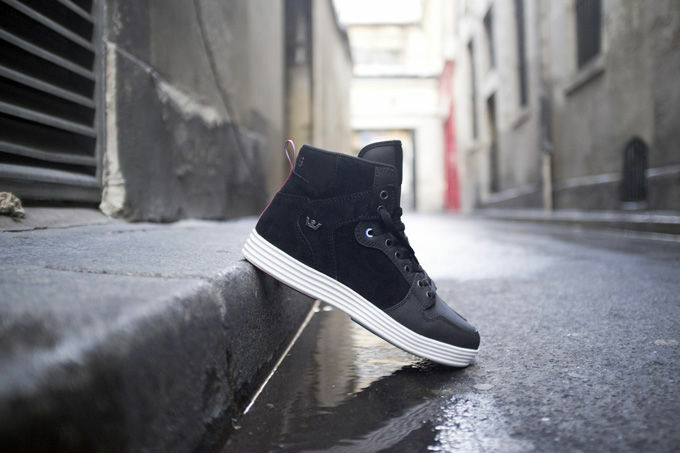 The "Vendredi Noir" Vaider Lite features a black pig suede and satin TUF upper with France-inspired details. Those details include a reflective Paris-branded "mustache," a Black/White/Red ribbon pull-tab, custom eyelets and aglets, antique crown appliqué and a sock liner bearing the coat of arms of Paris. 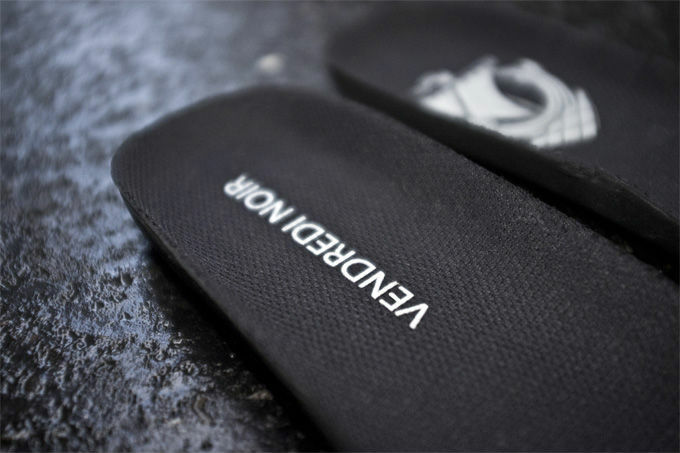 Supporting the ride is a white SupraFoam sole with striated sidewalls that prevent impact wrinkles. As another nod to the French flag, the traction pods are blue and red. Limited to a run of 500 pairs, the "Vendredi Noir" Vaider Lite will release this Friday, November 23 at Supra NYC, Supra Paris and Colette.